Design and layout of annual handbook distributed to all new Kellogg College students. 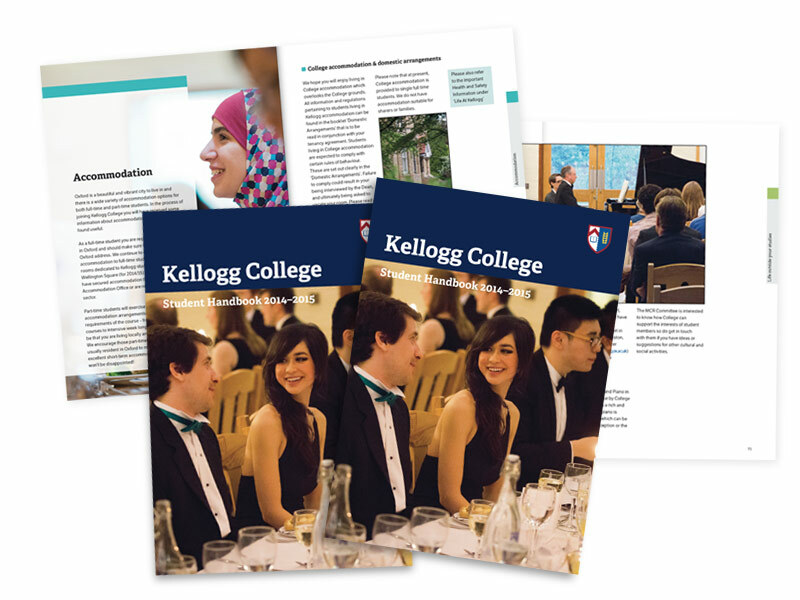 I worked with Kellogg College, one of the University of Oxford's largest and most international graduate colleges, on the design and full layout of their Student Handbook for 2014–15. The Handbook is distributed to all new College students, to provide help and information about life at College and in Oxford. It's a 96-page, full colour, perfect bound Handbook, and I designed the layout, typography, look and feel, and visual structure, to create an easy to use, clear and good looking final document.